My family and I are big Lego fans and I'm so excited to attend the Lego KidsFest Nashville that would be held 3 days on 17th-19th of April,2015 for the very first time. Currently Saturday Session 2 is SOLD OUT and Saturday Session 1 and Sunday Session 1 are at limited availability. The Friday and Sunday Session 2 still have plenty of tickets left however most sessions at each tour stop have sold out days in advance. There are five identical sessions are available for the three-day tour stop. 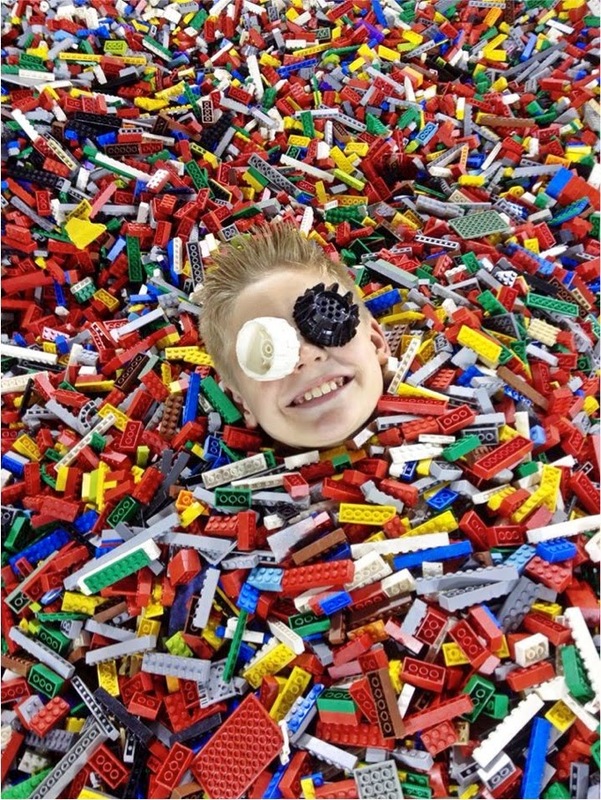 LEGO KidsFest tickets are $22.50 for adults and $19.50 for children and can be purchased online at http://www.legokidsfest.com in advance to ensure admission to the session of your choice and to avoid long lines at the door! Winner will be randomly chosen by USFG on Thurs, Apr 9 and announced on my Blog and notified via email,. FRIDAY SESSION has LIMITED AVAILABILITY! SATURDAY SESSION 1 is SOLD OUT! SATURDAY SESSION 2 is SOLD OUT! SUNDAY SESSION 1 has LIMITED AVAILABILITY! SUNDAY SESSION 2 has LIMITED AVAILABILITY! Thank you to all who join the giveaway. That sounds amazing! I think Legos are the coolest, so I'd love to see this. It's really amazing what you can do with them! This sounds like a really fun event. My son and husband would have a blast. They are always building things out of Legos. What a FUN event! I have some nephews who would love to go to this if they were closer!! This is an event that I would love to check out! I wish I lived closer to the Nashville area and could attend. Wow how cool! This sounds like an event my kids would love! I've never heard of this before. How fun! This sounds like a ton of fun to attend! It always amazes me what they build with legos! Oh I wish this was closer to us! My girls would be all over it! Lego overload - oh my gosh. I'm not surprised that tickets are sold out. I dunno anyone who doesn't love Lego. I hope they bring this here to my country because I'm sure that it will be a blockbuster. This looks like so much fun!! My kids would be so excited to attend a lego party like this!! Thanks for the chance to win tickets! Sounds fun and diverse. This is perfect for a family excursion for change. I'm sure everybody there will enjoy. That looks like so much fun! If we were closer, I'd go. Lego KidsFest looks like fun event. Sound amazing. Thanks for sharing. It looks like they had a fantastic time! I love Lego when I was little! O..m..g!! This sounds like so much fun...my son would love this!!!! Looks like they had a blast! My son would love this, I wish I could participate on this giveaway. Oh I wish this were a lot closer to us. My girls would be all over it! Oh my, my son would love this event. Too bad they don't hold event like this in my place. So much fun. What an exciting event for the whole family. I went to one a few years ago and there was so much to see and do. It's worth it! This sounds like a lot of fun and an interesting event. I have never been into legos myself but I know it's definitely a favorite for a lot of kids and even adults. Oh my gosh I wish we had a Lego Kidsfest near us!! My son (and my hubby) would be beside thenselves!!! I wish we lived closer! We went to a Legoland Discovery Center in Westchester and my s/o's boys had an amazing time. This sounds like an awesome event! My son (and husband) have an obsession with LEGO so this would be amazing for them! The LegoFest has come through Detroit a few times and I've missed it every time. I hope to check it out the next go round. I can't wait to go to Lego Fest. We've missed it every year it has come through Detroit. I hope we can make it the next round. What an awesome thing to do with the whole family. I wonder if they have one of these near us? We live in Knoxville, but I would love to visit Legoland in Nashville. It is a bit of a drive but I am sure it would be well worth it. I have never hit a Lego KidsFest. I have heard the events are a lot of fun. My daughters would have loved this when they were little, they were lego fans. Oh goodness... that sounds like it will be a blast. I remember going to a mall in downtown Chicago and they had this awesome LEGO store with a huge dragon in there... yes, made of lego. Of course, they had other amazing things built of LEGO, but the dragon... it was out of this world! We played LEGO bricks during childhood and we still have the toys to date. THe winner of the giveaway sure is lucky to receive the two tickets! Our kids love Legos! This definitely sounds like something they would love to do. That event is something that my son will definitely love and enjoy. He's a LEGO lover. How I wish Nashville is close. We'd definitely go! My grandson just loves Legos. He has only just turned three years old, but he's already very good at building! Oh my word, this looks like such a fun event! I bet my kids would LOVE to go! I would LOVE to attend an event like this. I think my favorite feature would be the LEGO Model Museum. Looks like this is such a wonderful event - lego event are always super cool. This looks so fun, my son would love to go to this! I wish we lived closer! That looks like soo much fun! I wonder if our local LegoLand has anything like this associated with it. I'll have to check.